The ability to capture and efficiently manage a customer’s contact information, is the most critical & fundamental aspect of digital communication. Yet the majority of companies that we talk to, do not currently have this relatively simple capability. Such companies have quick and very effective options in this regard, that they may not be aware of. This is always the preferred option for all parties. A company’s CRM or CIS system has the necessary functionality to maintain the email address and at least three subcategories / ‘flags’ for permission. 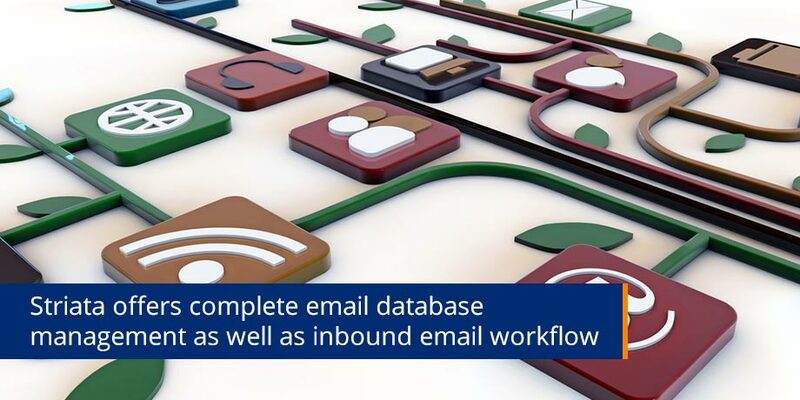 As it is extremely poor customer service to send email and not to allow customers to reply, sophisticated organizations also have implemented email workflow tools which integrate with their contact centre platforms, and allow the CSR’s to respond, ticket, escalate and archive customer emails. These companies can therefore capture, automatically maintain and service their customers via email. Attaining this level of advanced functionality is however extremely expensive and may take up to two years to implement. Many companies have thus chosen to outsource all of these functions to Service Providers that specialize in email database management.